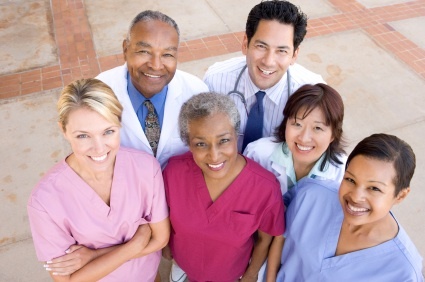 The importance of your medical office staff in setting the tone of your practice cannot be overemphasized. Your front office - the receptionists who answer the phone and greet people when they come in - is where patients form their first opinions of you as their health care provider. If they are greeted warmly with courtesy and respect, they will have greater respect for you as their physician. If they are greeted coldly, unprofessionally and with a nonchalant attitude, the office experience for the patient begins poorly, and you as the physician are already having to overcome obstacles in the relationship with your patient. Often, the physician, who is spending all his time in the back of the office going from room to room seeing patients, is unaware of how his patients are being treated up front. Many patients won't complain and the ones who do may have their complaints ignored by the busy clinician wanting to get at the medical problem that brought them in. Unfortunately, grumpiness in the front office leads to grumpy, irritable patients which results in grumpy doctors, all of which really creates a terrible atmosphere for trying to heal patients. Try to make sure when you first hire your office staff that they have reasonably good people skills - mostly that they will have compassion and concern for patients and will try to be as helpful as possible when a patient walks into your office. Afterwards, if you sense complacency developing, you may have to remind them that the goal of the office is to take good care of the patients. The patients after all are the lifeblood of the office - without them, none of the staff would have a job or make any income. Not only that but as health professionals, office personnel should want to make sure their patients are well cared for. Rudeness to patients or unprofessional conduct should never be tolerated. Teach your personnel how to react when they begin to feel angry. Have another member of the team take over if a situation like this is developing. Don't leave patients' problems unresolved. Frequently, a patient will call and say, for example, that he would like to see the doctor sooner than his next appointment if possible. The receptionist replies that there are no appointments available. The patient's sense then is that there is nothing that can be done for him, so he hangs up and waits another month for his next regular appointment to discuss the chest pain he has been having with the doctor. What should have happened in the above example is that the receptionist should not have dropped the conversation there but should have asked either what the problem was or if he would like to have the nurse or doctor talk to him to discuss how to handle the problem or to see if he should be worked into the schedule, go to the ER or make some other decision about it that won't leave the patient hanging with no other options available. Always greet everyone with a smile when they come in, get to know their names, always call them Mr or Ms. Never use first names unless the patient requests it. Don't leave them standing at the front window while everyone ignores them. This is very disrespectful. Treat your patients as you would like to be treated. If a patient makes a mistake and comes in on the wrong day instead of his appointment day, try to work him in if at all possible. If it's not possible, make sure he's not having any serious problem before you send him out the door and apologize that you are not able to accommodate him that day. If your medical office staff remains concerned , compassionate and if they always try to be helpful to your patients, your office practice will be a pleasure for you to work in. If not, it can be a nightmare for you, your staff and your patients. Try not to let that happen. Have frequent meetings with your office staff. Teach them how important this is to you. If they practice with these goals in mind, they will feel much better about themselves also at the end of the day, and they can each be proud of the good job they've done in helping patients heal. This page was last updated on April 18, 2009. From "Office Staff" to "Health Care Team"
From "Office Staff" to "HomePage"